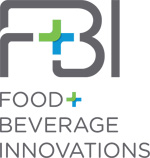 Food & Beverage Innovations, LLC (F+BI) provides innovative solutions that eliminate the manual process of making gelatin through new products, processes and technology. FB+I has invented Jevo, the first fully automated gelatin maker for the consumer home, healthcare and food & beverage industries. Learn more about Food & Beverage Innovations, LLC.